Marina Warwick – Advocate Marina Warwick, LL.M. Marina Warwick is a specialist in international trade law qualified as an advocate in the Isle of Man, solicitor in England and Wales and international lawyer in Russia. Clients interviewed by Legal500 praise her as ‘efficient and attentive’. Her practice focuses on company and commercial law and the areas of her master’s degree from the London School of Economics: international tax, intellectual property and Internet law. 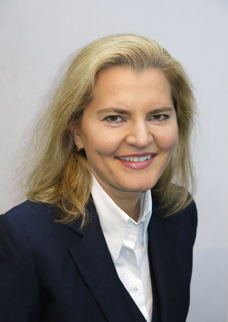 Marina’s skills are particularly well suited to tax-efficient structuring and finance of businesses with international interests, which include innovative enterprises, such as e-gaming and cryptocurrency operators, biomedical research and venture capital projects, and established industries such as financial and information technology service providers, investment funds, shipping and aviation. Marina advises on matters of English, EU, Isle of Man and Russian law arising in the structuring of international groups and trusts with a view to ensuring investment and asset protection, regulatory compliance, privacy, tax efficiency and isolation of risks. Trained at the oldest and largest international law firms such as Freshfields, Gide Loyrette Nouel and Mannheimer Swartling and then Isle of Man firms such as Simcocks, Marina has more than 20 years of experience in the legal business, including more than 7 years post-qualification as an Isle of Man advocate and an English solicitor. She is often instructed by lawyers and other professionals for specialist work and is experienced in providing integrated service as a member of a multi-disciplinary team.